In the previous post I told about two new features of Visual State Manager like setters and adaptive triggers and you can see that adaptive triggers are limited to screen size only. But in real applications you can change your interface based on lots of different parameters like Xbox controller availability, screen orientation, data availability etc. So, in this article I want to show how to extend existing infrastructure of adaptive triggers creating new one. It’s hard to find an application which is not connected to Internet. But getting data from the Internet takes some time. Usually I use ProgressRing to show that getting the data is in progress and I use VisualStateManager to show or hide elements based on data availability. Usually there are three states like Loading, Loaded and Error. Of course, I needed to implement some code which change state of application based on state of “view model”. Let’s see if it’s possible to implement our own trigger which helps to avoid coding in code-behind class of my page completely. First of all we need to check if our “view model” class is ready for triggers. It’s better to implement a property which shows current state of our model as well as an event which fires every time when model change own state. Of course, it’s better to implement base class for all view models in our application. I have implemented InitModel method as well as an example of code where we need to invoke StateChanged event. Usually you will implement this method in your own way and into inherited classes. You can see that I have two properties in the class which allow to set reference to the current view model and define a state which we are going to use to activate the trigger. Once view model is initialized we will activate or deactivate the trigger using the event handler for StateChanged event. It’s really cool and allows to make better implementation of MVVM pattern. If you are going to develop Universal Windows applications for Windows 10 you should think about adaptive interface which will successfully work on all Windows devices with different screen sizes, orientations and resolutions. As I mentioned in my previous post, Visual State Manager is a very good approach to implement adaptive interface. Visual State Managers allow to declare different states of UI with ability to change the current state in runtime. That’s why Microsoft continues to invest resources to this component and today developers can use two more features there. It’s much clearer. Developers need to declare a property’s name and a new value in the selected state. If you want you can mix Setters and Storyboard inside the same state. Of course it’s not enough to declare all possible states – developers need to implement code which allows to change the state dynamically. For example, if you are going to change the state based on screen size, you need to implement event handler for SizeChanged event and use GoToState method of VisualStateManager class. Sometimes it’s not clear when a state should be applied. Additionally, if you have several state groups and need to combine several states, you can easily make a mistake. That’s why Microsoft implemented an infrastructure for state triggers. It allows to declare one trigger or a set of triggers inside XAML to understand which state should be applied. So, you can declare all needed rules without coding at all. In the current version Microsoft presented just one trigger – AdaptiveTrigger, but I hope that in release we might see some more triggers. Additionally you can develop your own triggers as well. You can see that AdaptiveTrigger has only two parameters: MinWindowWidth and MinWindowHeight. These parameters allow to switch state of window based on size. In our example, if we have the width of the windows smaller than 700 pixels, we will collapse an element called comboBox. In the next post I am going to show how to create your own trigger. 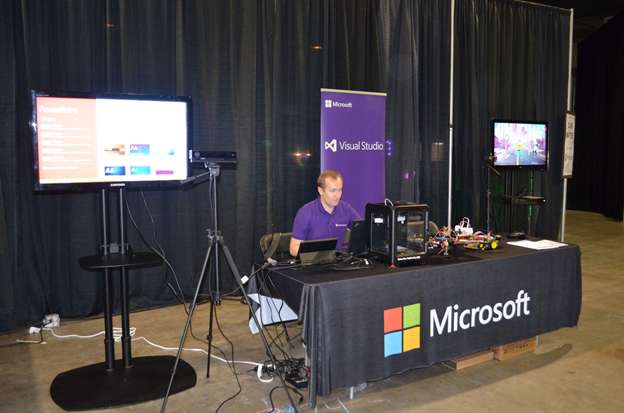 Last weekend I got a chance to participate in Vancouver Mini Maker Faire event. I still don’t understand why it’s called “Mini” because the exhibition filled all the space at PNE Forum including outdoor exposition. And, of course, we had our own booth there as well. So, what was Microsoft doing there? Half of our exposition demonstrated ability of Visual Studio to support IoT projects for different boards like Arduino, Netduino, Raspberry Pi 2 etc. 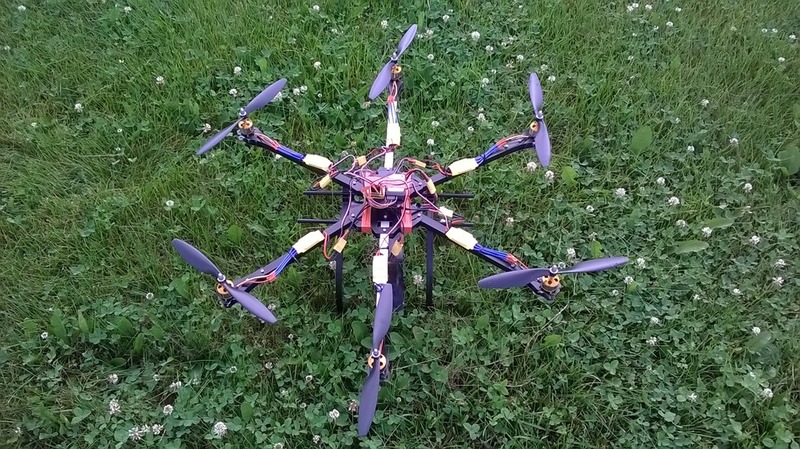 I have developed two rovers based on EZ-B controller and based on Arduino. In case of EZ-Robot I used UniversalBot project for developing Windows 10 applications. For Arduino I used the instructions which you can find on windowsondevices.com but you can use Visual Studio to develop and deploy Arduino applications directly using Visual Micro plug-in. 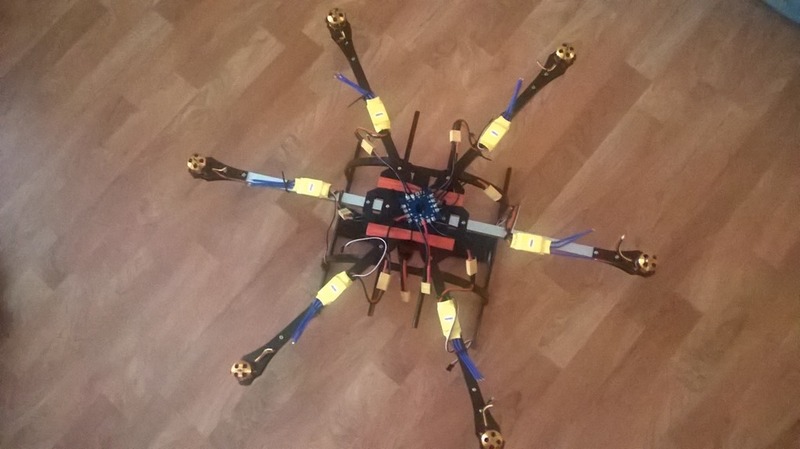 Additionally I have developed the drone based on Netduino board, so I used .NET Micro Framework and C# to develop all stabilization algorithms there. 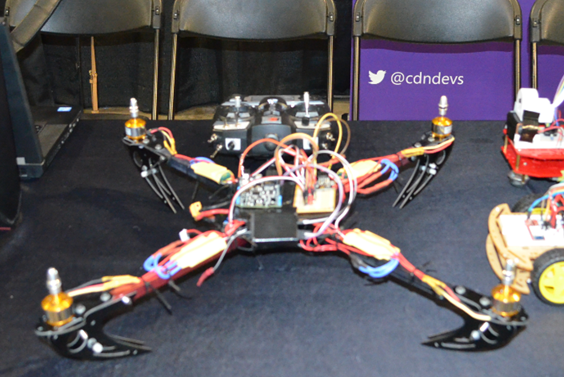 The second part of our exposition was around Kinect and 3D printing. Thanks to 3D printing support in Windows you can develop your own applications very quickly without thinking about how to cut the model in slices or generate G-code. Additionally, you can use existing 3D printing software like 3D Builder to create own models and print it. 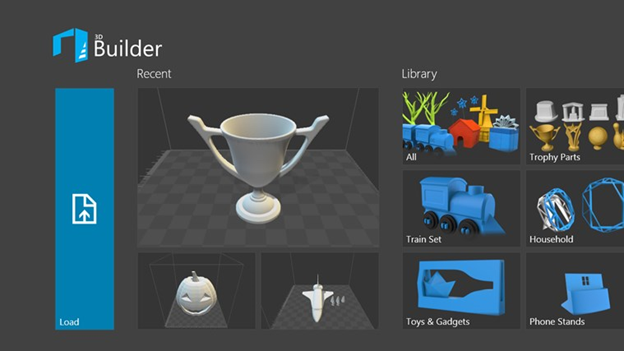 Additionally, 3D Builder supports Kinect devices to 3D scan of existing objects. Of course, we used Kinect not just for 3D scanning but for entertainment as well. All attendees have a chance to dance in our Xbox One area where we used Kinect as well and installed Just Dance Kinect ready game. I hope that everybody had some fun visiting out booth as well as all other expositions there. So, we already know how to transform text to speech and it’s time to talk about the opposite task. Universal Application Platform supports Windows.Media.SpeechRecognition namespace and several ways to recognize your speech. You can predefine your own grammar, use existing one or use grammar for web search. In any case you will use the SpeechRecognizer class. Let’s see how to use this class in different scenarios. Like the SpeechSynthesizer class, SpeechRecognizer has some static properties which allow to understand available languages for recognition. The first property is SystemSpeechLanguage which shows system language and it should be the default language as well. The next properties SupportedTopicLanguages and SupportedGrammarLanguages are not very clear because in case of Text to Speech classes we have just one property for all supported languages. But SpeechRecognizer allows to recognize your speech locally or use several dictionaries online. That’s why SpeechRecognizer has two properties: SupportedGrammarLanguages – for general offline tasks and SupportedTopicLanguages – for online grammars. 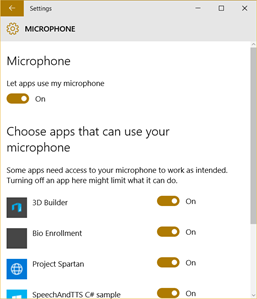 In Windows 10 user can disable microphone permissions for selected applications or for all applications at once. You can easily find the window which allows to do it (Settings->Privacy->Microphone). If everything is OK with permissions you can start executing some methods which implement speech recognition logic. Additionally, you can use the set of methods which allows to utilize built-in dialog panels for speech recognition – just use RecognizeWithUIAsync method. If you want to find some examples of speech recognition I would recommend to use the following link. You can find speechandtts example there. Next time I am going to cover more interesting topics related to Cortana. In this post I am going to answer the first question. Because GPIO of Raspberry doesn’t have any PWM features we need to use external convertors which help us to transform analog signal to digital. I would recommend to use convertors from Microchip Technology and there is the great selection of different chips: MCP3002, MCP3008, MCP3208 etc. 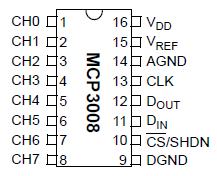 I bought MCP3008 because it supports up to 8 channels and represent analog data in 10 bits format. 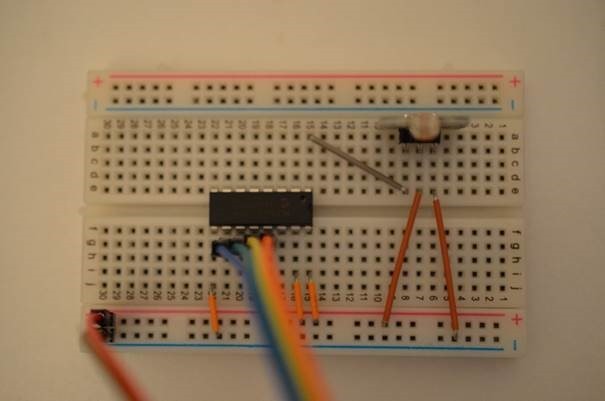 Because Arduino and Netduino use the same format (from 0 to 1024) I am used to using 10 bits. MCP3008 works based on SPI bus, so we should use SPI bus on Raspberry. 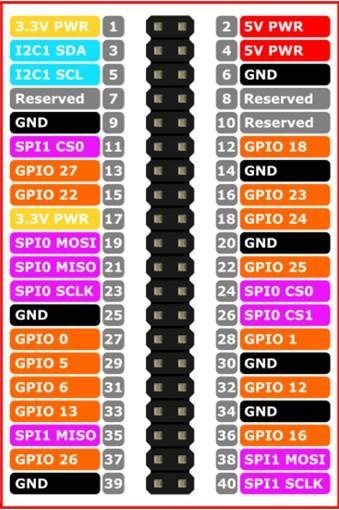 In order to do it I connected CLK leg of the chip to pin SPI0 CSLK (19), D(out) leg to SPI0 MISO pin (21), D(in) leg to SPI0 MOSI (23) and CS/SHDN to SPI0 CS0 (24). V(dd) and V(ref) legs I connected to power and DGND to the ground. I have analog photoresistor sensor only. 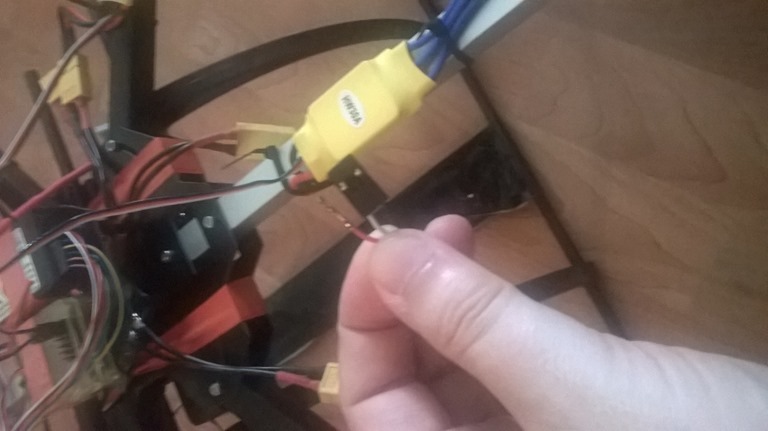 So, I used just channel 0 and connect signal leg of the sensor to CH0.